Known as the media pundit who reshaped the political landscape with his entertaining and informative brand of conservatism, Rush is also widely credited with resuscitating AM radio by many industry experts. By 1983, Mr. Limbaugh got the broadcasting bug back and re-entered radio as a political commentator for KMBZ in Kansas City. A year later, he was the host of a daytime talk show on KFBK in Sacramento, Calif., where he nearly tripled the program’s ratings in four years. From there, he went to New York in 1988 where his record-breaking national show was born. 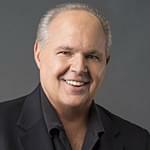 In 2000, Rush tackled the Internet, expanding his media dominance with the launch of RushLimbaugh.com. Employing cutting edge technology, it is one of the most popular radio broadcasting websites. It offers subscribers the opportunity to experience his show via video and audio Podcasting as well as live streaming audio. Recognized for his achievements, Rush received the Marconi Award for Syndicated Radio Personality of the Year given by the National Association of Broadcasters in 1992, 1995, 2000 and 2005. In 1993, he was inducted into the Radio Hall of Fame and in 1998, into the National Association of Broadcasters Hall of Fame. Listen to Rush LIVE weekdays from 11am to 2pm on News/Talk 1540 KXEL.